A GUNSMITH is a person who repairs, modifies, designs, or builds guns. This occupation differs from an armorer. A gunsmith does factory level repairs, renovation (such as applying metal finishes), and makes modifications and alterations for special uses. Gunsmiths may also apply carvings, engravings and other decorative features to an otherwise finished gun. HUNTING is the practice of killing or trapping any living organism, or pursuing it with the intent of doing so. Hunting wildlife or feral animals is most commonly done by humans for food, recreation, or trade. In present-day use, lawful hunting is distinguished from poaching, which is the killing, trapping or capture of the hunted species contrary to applicable law. The species that are hunted are referred to as game and are usually mammals and birds. Hunting can also be a means of pest control. Hunting advocates state that hunting can be a necessary component of modern wildlife management, for example, to help maintain a population of healthy animals within an environment's ecological carrying capacity when natural checks such as predators are absent. 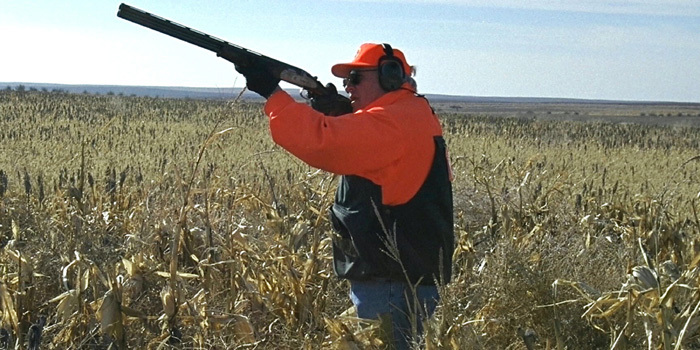 In the United States, wildlife managers are frequently part of hunting regulatory and licensing bodies, where they help to set rules on the number, manner and conditions in which game may be hunted. The pursuit, capture and release, or capture for food of fish is called fishing, which is not commonly categorised as a form of hunting. Trapping is also usually considered a separate activity. It is also not considered hunting to pursue animals without intent to kill them, as in wildlife photography or birdwatching. The practice of foraging or gathering materials from plants and mushrooms is also considered separate. List of shotguns - Wikipedia. BENELLI - since 1967. "Simply Perfect." 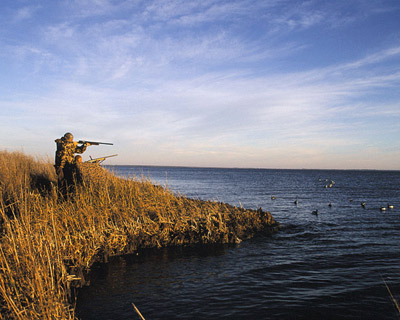 What distinguishes Benelli from the competition is the ultra-reliability and quality built into every gun based on superior technology and craftsmanship. BERETTA - founded 1526. Passed down through 15 generations of the Beretta family. Beretta’s output is approximately 1,500 weapons a day and covers just about the entire range of portable weapons: over-and-under and side-by-side rifles for hunting and competition in different calibers and finish grades. HOLLAND & HOLLAND - founded 1835. "Home of the world's finest sporting guns." This hidden gem in the middle of Central London has been a shooter’s paradise for many decades. Visitors to the gun room can browse a full collection of new and preowned shotguns and rifles, as well as a selection of the best shooting accessories. LEBEAU-COURALLY - since 1865. "150 Years Dedicated to Magnifying Detail." The history of Lebeau-Courally is inextricably bound up with its founder’s unique passion for handcrafts. In 1865 Auguste Lebeau brought his dream to life. A dream of the best hunting guns to be found anywhere in the world. Bespoke hunting pieces, reflecting the unique personality of their owner. PURDEY - "Gun & Rifle Makers since 1814." Order a hand-crafted shotgun or rifle, and you are joining a tradition of gunmaking excellence that goes back over two centuries. Remington - founded 1816. "Remington Arms Company, headquartered in Madison, North Carolina, designs, produces, and sells sporting goods products for the hunting and shooting-sports markets, as well as the military, government, and law enforcement markets." SMITH & WESSON - "Made In The USA Since 1852." Horace Smith and Daniel Baird Wesson formed a partnership in 1852 to manufacture a firearm that could fire a fully self-contained cartridge. From the beginning, Smith & Wesson® firearms were noted for their innovative design, high quality production and reliability. VO Vapen - "Bespoke Rifle Make." VO Vapen was founded in 1977 rooted in the determination to build the world’s most exclusive hand-made rifles for hunting and collection. Builder of the world's most expensive riffle priced at US$825.000. WILLIAM & SON - "Bespoke Guns & Rifles." 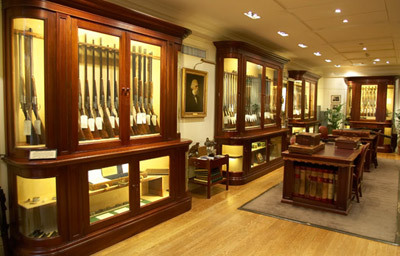 Located in the very heart of Mayfair, on the ground floor of our flagship, our gunroom showcases our bespoke shotguns and rifles along with essential accessories for the field. What used to be the last standing barn in London has now turned into a unique room celebrating the sport. A maker of the very best guns in London. William Moore & Grey - founded 1808. "We are proud to produce bespoke luxury guns for distinguished individualists from all over the world." Winchester Repeating Arms Company - founded 1866. "We are proud to make equipment for hunters and target shooters who work hard -- both when hunting and when making a living for their families." Best Handgun, Large and Biometric Gun Safe Reviews for 2017 - Gun Safe Pro. Big five game - big five game animals are the lion, leopard, rhinoceros (both black and white species), elephant, and Cape buffalo. EXPLORE PRODUCTS - hunting products & gear. FILSON - since 1897. Hunting clothing. FILSON - "Building on a heritage of guaranteed quality since 1897." Hunting bags. French Footwear - "Handcrafted in France with high quality natural rubber." Rubber boots for hunting. Ghurka - since 1975. Handcrafted of thick, supple calfskin, our Marksman shotgun and rifle case is fully lined in plush shearling to help protect your treasured long guns. Glorious Twelfth - term used usually to refer to 12 August, the start of the shooting season for red grouse, and to a lesser extent the ptarmigan in Great Britain and Northern Ireland. HOLLAND & HOLLAND - since 1835. 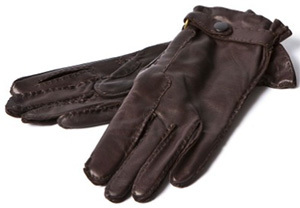 Men's gloves. HOLLAND & HOLLAND - since 1835. 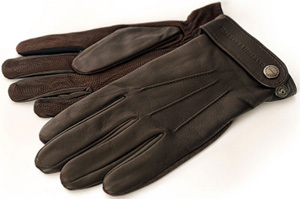 Women's gloves. HOLLAND & HOLLAND - men's & women's shooting attire. HUNTINGLIFE.COM - "Hunting and Conservation News." JAMES SMITH & SONS - since 1830. Seatsticks. 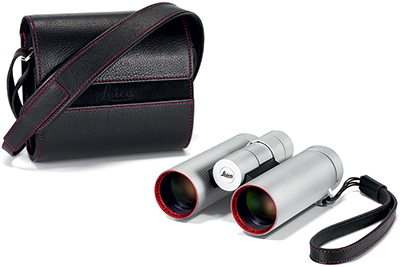 Leica binoculars - "Leica binoculars are ready for any kind of adventure in all situations." L.L.BEAN -"GUARANTEED. You have our word." Outdoor gear. Le Chameau - "Maître bottier depuis 1927." Men's & women's hunting boots. 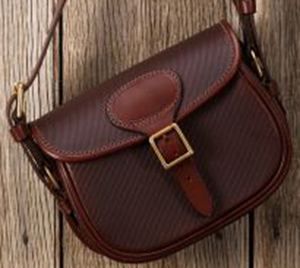 MULHOLLAND - luxury leather game and sporting bags. 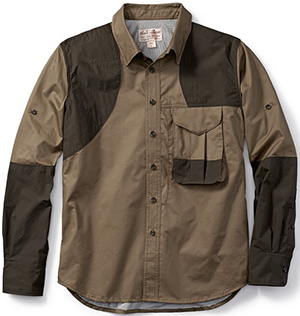 MUSTO - shooting and hunting clothes. OPTICS PLANET - "Deer & Duck Hunting Equipment & Other Hunting Gear!" Par Force Hunting - the game is run up and exhausted by using a combination of mounted hunters and packs of dogs. When it is down, a selected hunter approaches and kills it with a hunting dagger and no firearms are used whatsoever. It was often seen as honorary to be allowed the final deathblow. 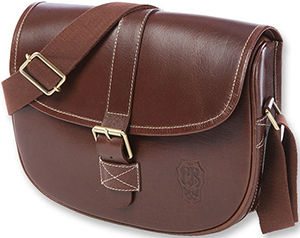 PURDEY - leather cartridge bag. 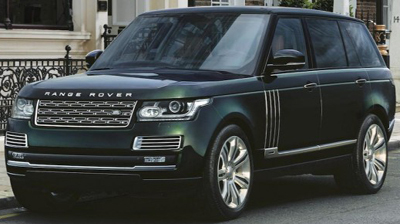 RANGE ROVER Holland & Holland - "The Holland & Holland Range Rover builds upon the strengths of the two iconic British brands to provide the perfect vehicle for Holland & Holland’s sporting clients. The new car is able to combine the unrivalled off-road capability of the Range Rover with an extensive range of bespoke features." Sports Afield - "The World's Premier Hunting Adventure Magazine." Founded in 1887 by Claude King, as a hunting and fishing magazine, and it is the oldest continuously published outdoor magazine in North America. THE HUNTING LIFE - "Your #1 Source for FieldSports." Who would want to kill a lion? Inside the minds of trophy hunters - "From the dentist who felled Cecil the lion to the woman who shot a goat on Islay, keen hunters are happy to fork out small fortunes to kill wildlife. But why do they do it - and what is the true cost of their obsession?" WILLIAM & SON - clothing and accessories.